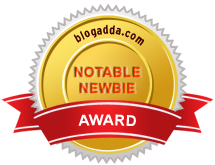 Last time when I saw the book review program for novel “Two fates” on blogadda I got really excited, as this book seemed exactly the kind of stories I like to read. And I don’t need to tell you how happy I was after receiving my copy; I finished reading this book in just 2 days. One should not get confused with this book being one more Punjabi-Tamil love story by seeing the cover page of the book. It is not a novel about two state marriage, however this is the story of an interstate divorce. 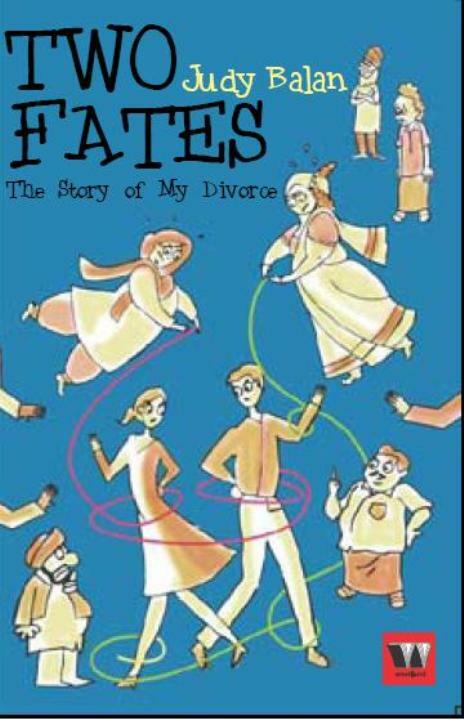 The first time writer Judy Balan calls her book “Two Fates – The story of my Divorce”. This gives a little idea of what one should expect out of the book, but the way story unfolds and the interesting characters and hilarious incidents glues you with the book till end and makes it an interesting read. If you have read “Two States” by Chetan Bhagat, where a Punjabi boy falls for a Tamilian girl and after winning over all odds they finally get married and live happily ever after. 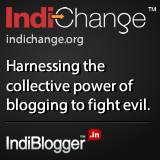 Then this story takes you one step ahead. Years after marriage when the boy and girl fall out of love and want to go in different directions, making the family accept their decision to part is as difficult as making the two state marriage a reality. The main character of this book is beautiful and smart Tamilian girl Deepika, who is like any other 21st century Indian girl, twisted between modern thinking and desi heart. She wants to live life her way, but do not want to make her family and friends unhappy by any means. She is married to Rishab, a Punjabi boy with IIT tag which gives him the certificate of being most intelligent and educated boy in the whole family. They win over all odds and make the respective families ready for the north-south marriage. Years pass, Deepika and Rishab fall out of love because of their nonstop arguments over which colour the wall should be painted, what is the right time to make love and many such petty issues. They do not want to live together anymore and badly want a divorce. But as we know in India marriage is not between two individuals, it is the marriage between two families. By now their families are so close that they are doing holidays together, their cousins want to marry each other and become ideal couple like Deepika and Rishab, making it a difficult task for our lead characters to make the same families hate each other which came closer because of their constant efforts. Will Deepika and Rishab get divorce or the love between families will win and make them stick to each other for family’s sake, Two Fates deals with this. Author puts this interesting story in very easy to understand language. The characters of this book are very close to real life, the way they talk and behave in certain situations is as real as we Indians do. For me this book did what it was supposed to do, Entertainment! It was a fun read with lots of laughter moments. All in all it’s a good read. I am looking forward to read more from Judy in future, and best of luck for her “Two Fates”.